Now, before you think I'm a racist, the words are straight from her blog! 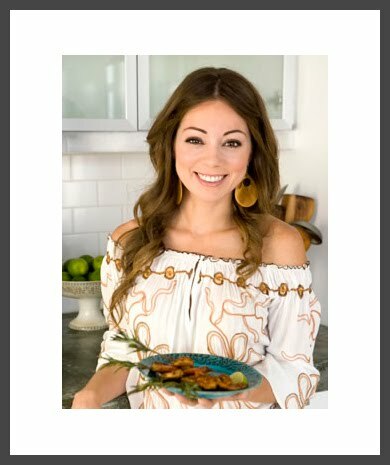 I just saw the promo for her upcoming Food Network show last week, and immediately I thought, "hmmm, someone beat me to it!" (an FN Mexican Food show, that is). Well, in doing research on this beautiful latina I came to find out that we actually have more in common than I had first imagined. She's actually a local Chef (San Diego), born here with family south of the border in Tijuana, where I was born. So, with all envy aside, keep a look out for her upcoming show, Mexican Made Easy, this Saturday at 9:30 am, on the Food Network. I know it will be a great hit, so tune in and cheer on our local FN Chef! I saw her on Fox yesterday too!